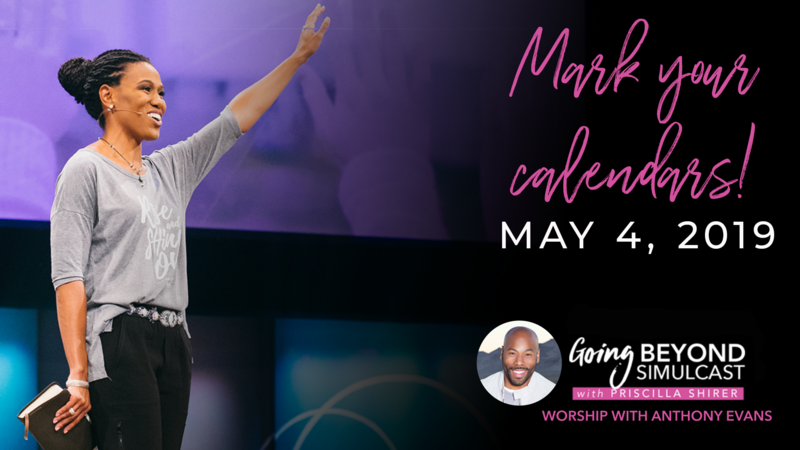 We excitedly invite you to join us for for the Going Beyond Simulcast with Priscilla Shirer on May 4, 2019. Along with Priscilla Shirer, one of today’s top Bible teachers, Christian recording artist Anthony Evans will lead worship. The Going Beyond Simulcast brings women together from all walks of life across the globe in their churches or homes for a day of biblical teaching, prayer, and worship. The simulcast event begins at 9am in the Sanctuary of FBC Goodlettsville on Saturday, May 4. Lunch and snacks will be provided, and the event will draw to a close by 4pm. Cost is $20.